The Extra Mile Starts Here! A.G.S.C. has been providing the best satellite equipment the industry has to offer since 2001. 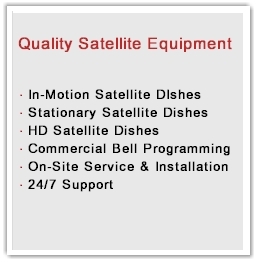 We have many available choices in satellite equipment to suit your requirements. All of our products are screened and tested to provide the most reliable, effective and durable gear available.